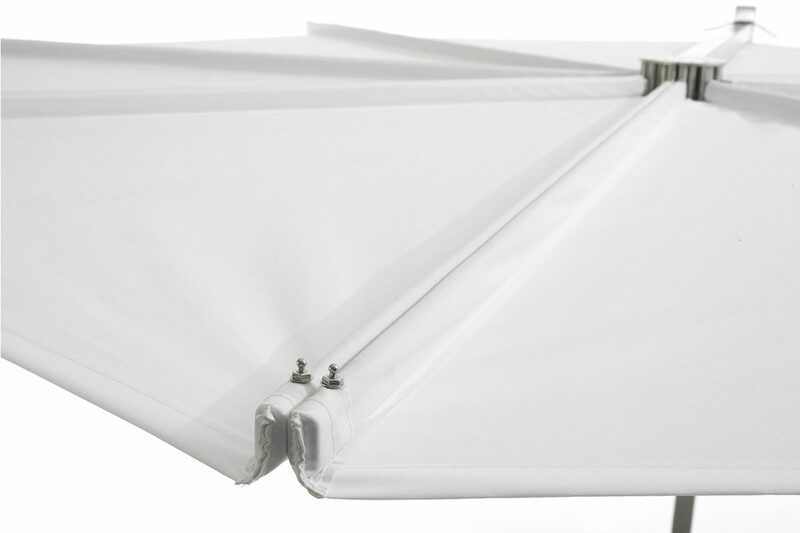 The Kosmos Parasol Round has an ingenious design and opens horizontally like a fan, offering excellent wind resistance (wind force 6 on the Beaufort scale). 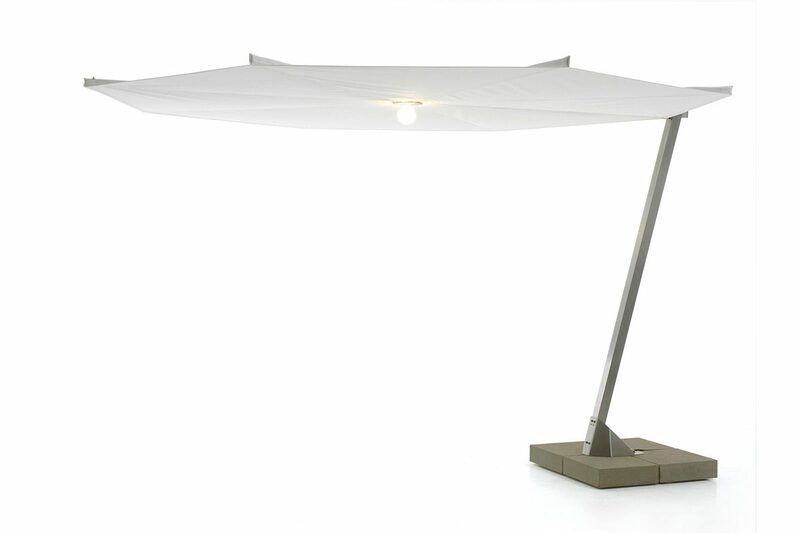 This designer parasol hangs low enough to provide plenty of shade, and is perfect for placing next to the Kosmos table and seat combination or any other furniture. Two hidden magnets keep the parasol open. In very windy weather, the magnets will release their grip. 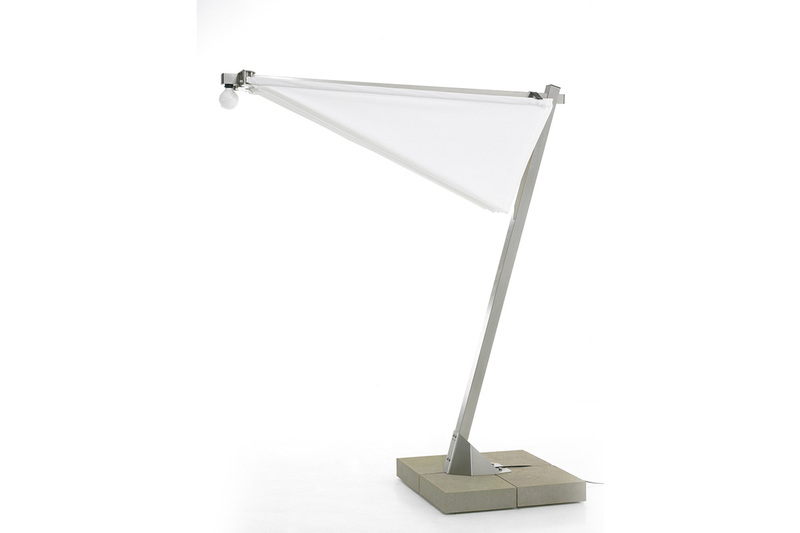 The Kosmos Parasol Round has a very simple and clean look, as there are no visible technical components. 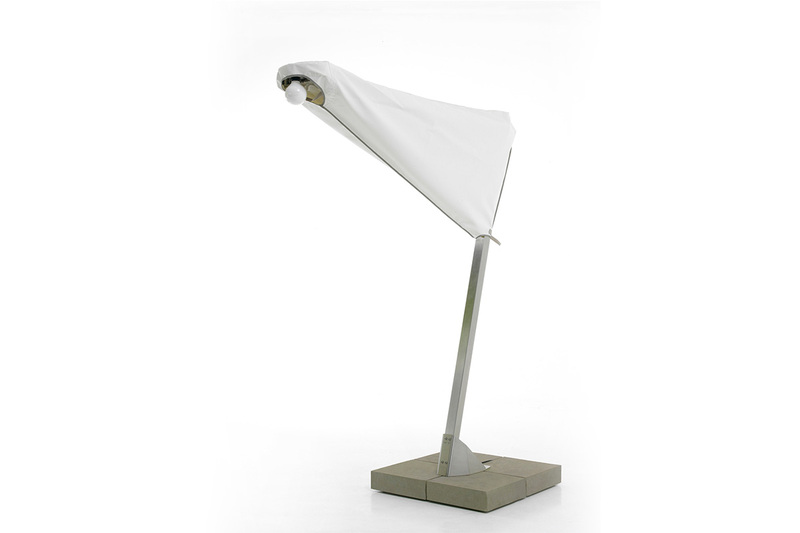 The parasol is inspired by nature and opening it resembles a bird that spreads its wings. The parasol remains open by means of two hidden magnets. In very windy weather, the magnets will break away, causing the parasol to close automatically. 1) The parasol remains open by means of two hidden magnets. 2) In very windy weather, the magnets will break away, causing the parasol to close automatically.